While summer days in Perth can be intolerably hot, the long balmy evenings of the warmer months offer many wonderful opportunities to relax and unwind in our lovely parks and gardens. For the last two decades, one of our city's most popular community cultural events has been the City of Perth's Opera in the Park, a glorious glimpse into the exquisitely expressive world of opera which is generously provided by the City of Perth as an annual free gift to the people of the city and supported by Lotterywest. Taking place in the lovely Supreme Court Gardens with the Perth skyline forming a dramatic backdrop, and highlighting some of the brightest stars from the West Australian Opera, this year's performance will be Puccini's Tosca, and will take place on Saturday, February 15th at 7.30pm. First performed in Rome in 1900, Tosca was the work of Giacomo Puccini, based on a French-language play by Victorien Sardou. A dramatic saga of passion and treachery, the story is set in Rome in 1800 when the city's political stability is threatened by Napoleon's invasion of Italy. The opera's cast of memorable characters includes the diva Tosca; her lover, the artist Cavaradosi and the wicked chief of police, Baron Scarpia. Such a compelling plot and highly-charged personalities are sure to provide some heart-stopping entertainment, so whether you're new to the wonderful world of opera or are a sophisticated connoisseur, with its dramatically expressive melodies and soaring arias this performance of Tosca is sure to be a performance that you won't want to miss. The performance will star Anke Höppner as Tosca, Angus Wood as Cavaradossi, Douglas McNicol as Scarpia and Andrew Collis as Angelotti, and will also feature the West Australian Opera chorus along with the West Australian Symphony Orchestra. It will be sung in Italian with English subtitles. For opera enthusiasts from regional Western Australia who can't make it to Perth for the big event, the performance will also be simulcast live to various cultural and community centres throughout the state. These include Albany Entertainment Centre, Sun Pictures in Broome, the New Lyric Theatre in Bunbury, Esperance Civic Centre, Queens Park Theatre in Geraldton, the Goldfields Arts Centre in Kalgoorlie, Margaret River Cultural Centre, Cummins Theatre in Merredin and the Matt Dann Cultural Centre in Port Hedland. 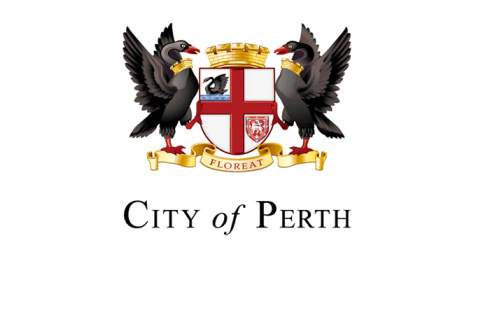 In a nutshell, this year's City of Perth Opera in the Park promises to be a fabulous and affordable evening out, so be sure to pack a rug and picnic hamper and head for the Supreme Court Gardens on the evening of February 15th. For more information, take a look at the West Australian Opera website. Why? The City of Perth Opera in the Park program is a magical way to spend an evening with your friends, family and picnic hamper .